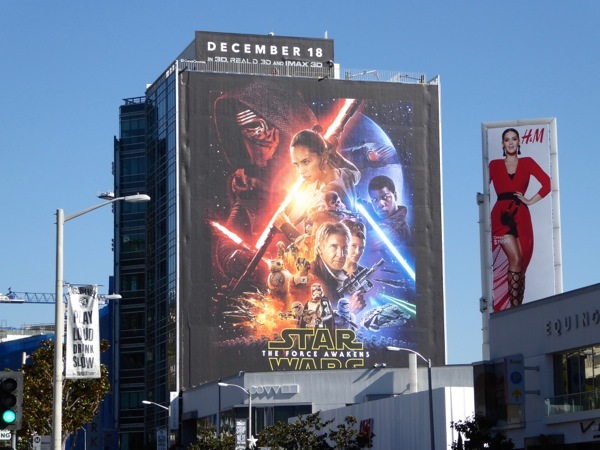 This December Christmas will be coming early for millions of Star Wars fans around the world as the first live-action movie in ten years is released at cinemas, and more importantly we all find out what happened next in a galaxy far, far away after the original trilogy. 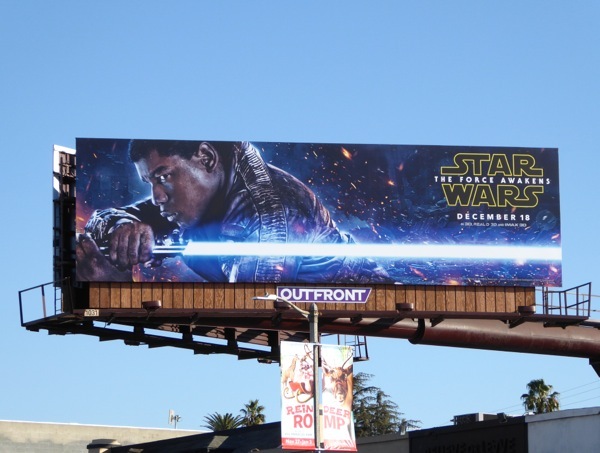 Never has so much been known, and not known, about a new movie, as Star Wars: The Force Awakens has been wrapped in a shroud of secrecy that not even the best Bothan spies have been able to penetrate (curse you, and equally thank you, J. J. Abrams). 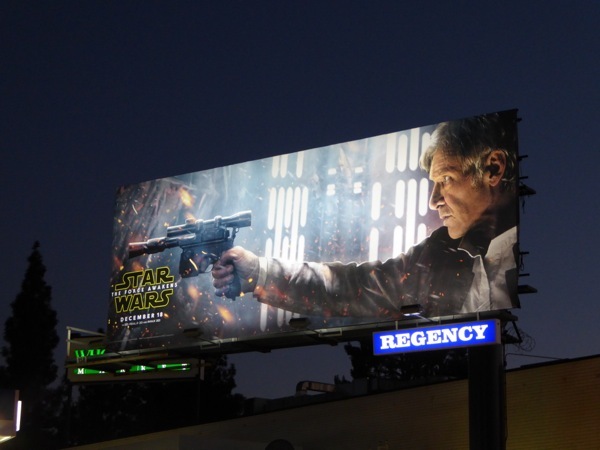 What we do know if for the first time Harrison Ford, Carrie Fisher and Mark Hamill will reprise their iconic roles as 'Han Solo', 'Princess Leia' and 'Luke Skywalker' (who's been conspicuously absent from the trailers and marketing materials), along with the likes of fan-favourites 'Chewbacca', 'C-3PO' and 'R2-D2' (who appeared in Episodes I-III). 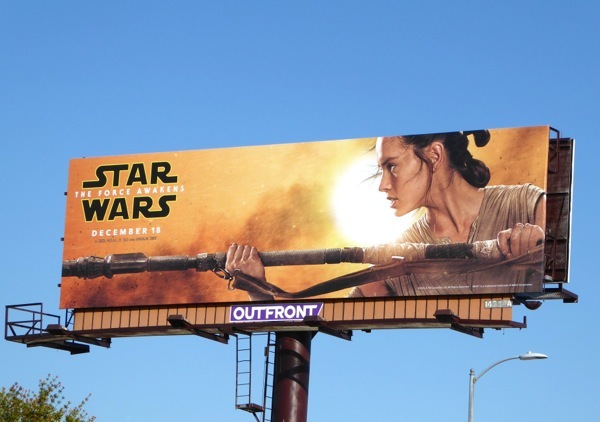 We'll also be introduced to exciting new characters like Daisy Ridley's 'Rey' and John Boyega's 'Finn', as well as the instantly adorable droid, 'BB-8', in a continuation of George Lucas's star-spanning saga set thirty years after the events of 1983's Return of the Jedi. 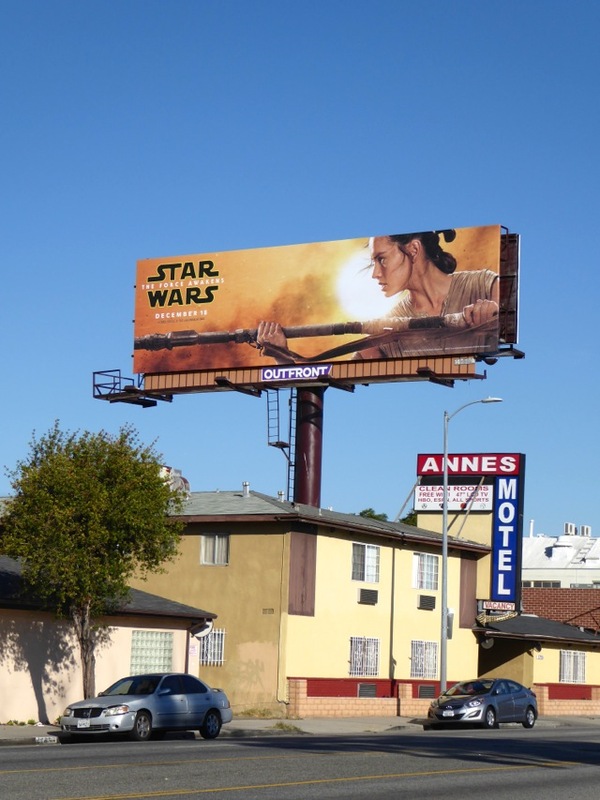 With the movie expected to break box office records, Daily Billboard is sure that the studio debated not spending the money on an extensive outdoor ad campaign (even though this one arrived quite late about three weeks before theatrical release). 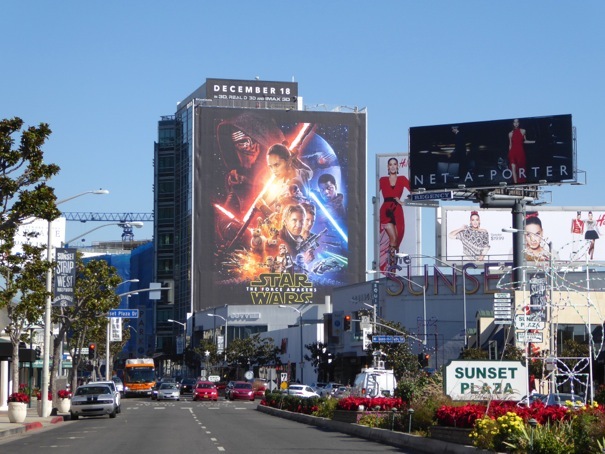 We're thankful they did, as it makes this new cinematic episode even more of an event movie, and helps heighten the excitement for fans as they pass by and see iconic Lightsabers and blasters raised high in the city skyline. 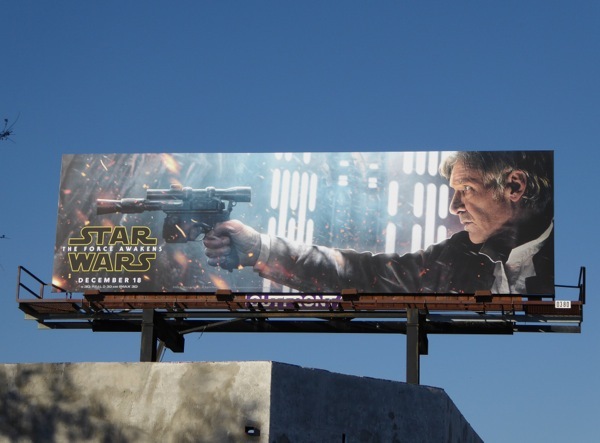 The landscape billboards are great character portraits and capture the feel of Star Wars, with Harrison Ford especially looking every bit Han Solo and the background behind him having the distinctive design aesthetic of the Star Wars universe. 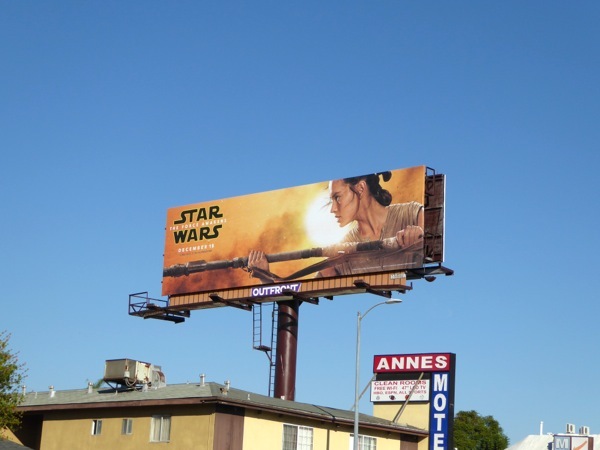 Many lessons were learned from the CGI-heavy new trilogy which ran from 1999 to 2005, and The Force Awakens promises a return to on location filming, set building and puppetry and animatronics to create believable aliens, creature effects and locales we all loved from the original movies. 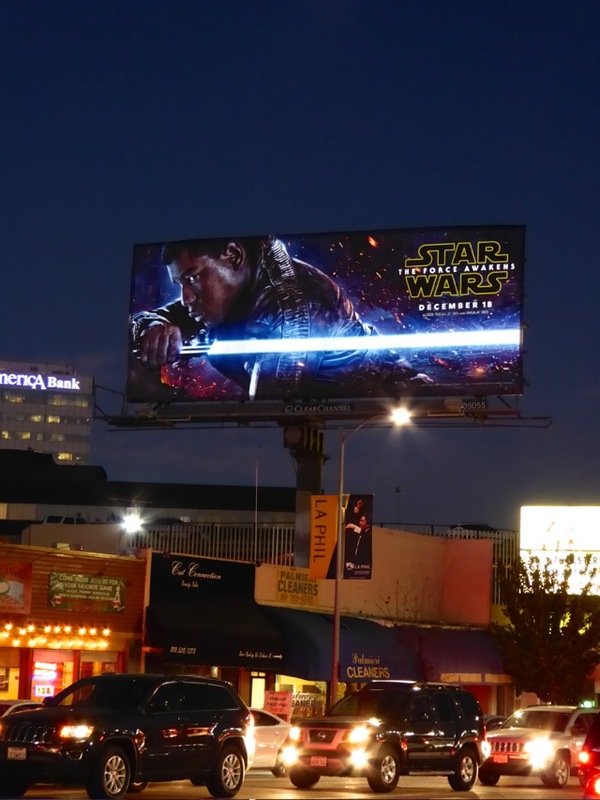 These supercool Star Wars: The Force Awakens billboards were first spied along La Brea Avenue, Melrose Avenue and La Cienega Boulevard on November 28, whilst the nighttime versions (including Finn's special illuminated Lightsaber) were snapped along Sepulveda Boulevard in Sherman Oaks on November 30, 2015. 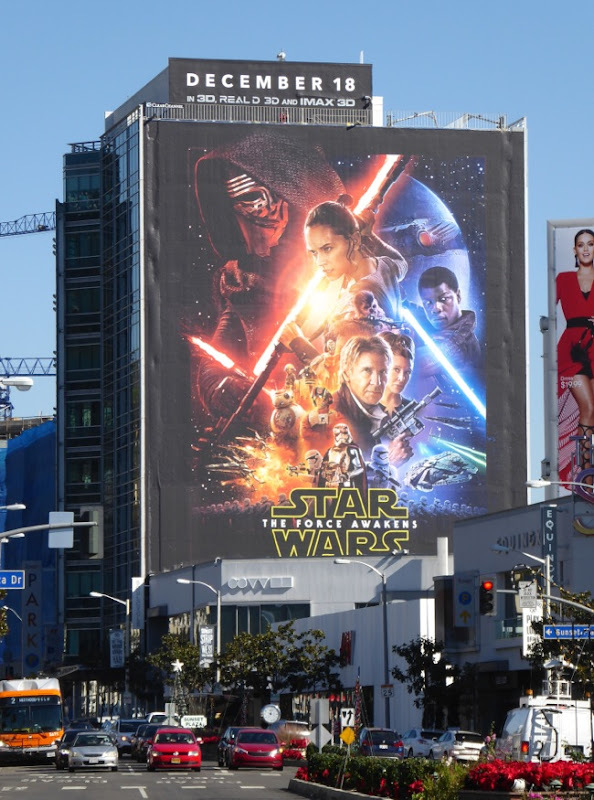 The giant-sized billboard featuring the wider cast of characters, including The Dark Side's 'Kylo Ren', 'Captain Phasma' and legions of First Order Stormtroopers, was photographed towering of West Hollywood's Sunset Strip on December 1, 2015. 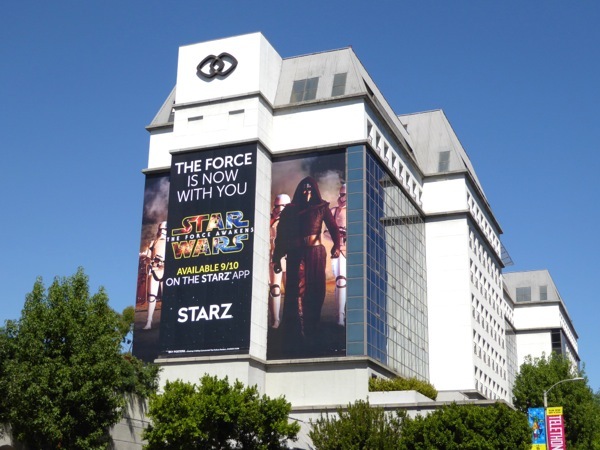 If you're a fan of the pop culture phenomenon, be sure to also take a look at these original film costumes from Star Wars: The Force Awakens on display. 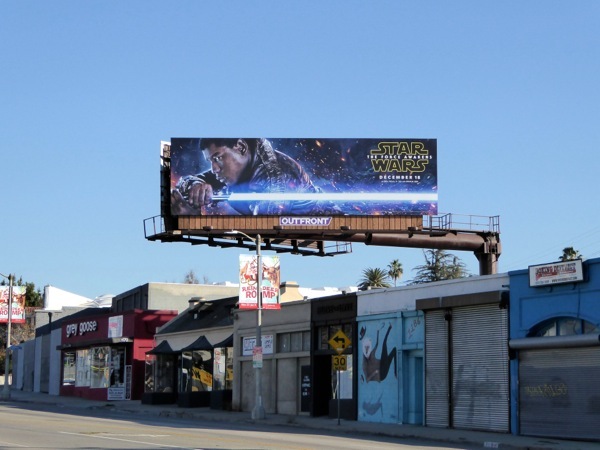 Plus you can also enjoy these other billboards featuring Star Wars characters from recent years in the skies of L.A.
May the Force be with us all, and one final thing, "please be good, please be good, please be good". 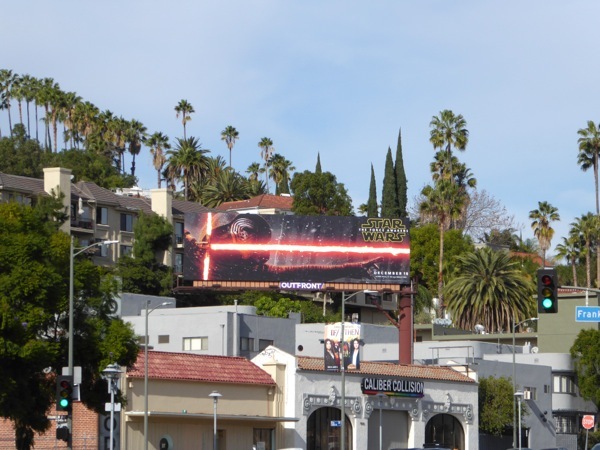 UPDATED: Here's also the film's new villain, 'Kylo Ren', in solo action with his deadly red Crossguard Lightsaber along Cahuenga Boulevard on December 6, 2015. 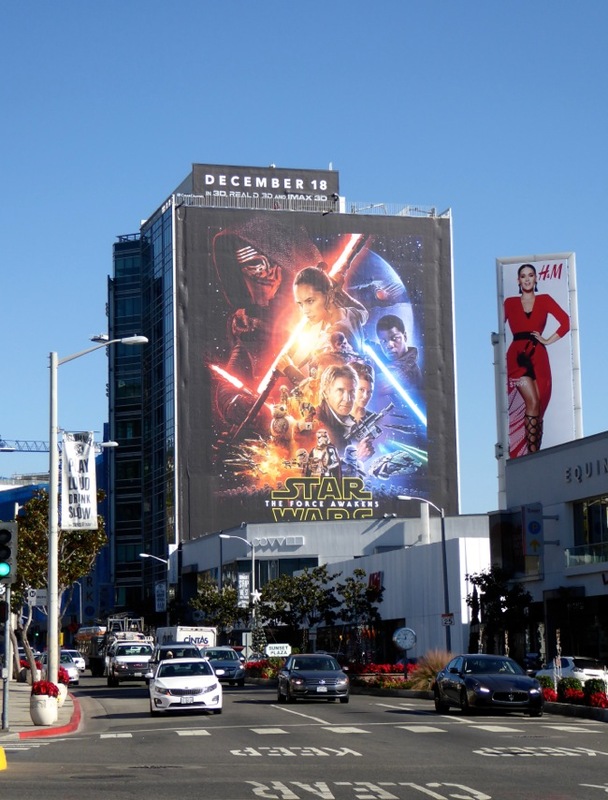 It's clever how all the hero billboards face one direction and The Dark Side's forces the other direction. 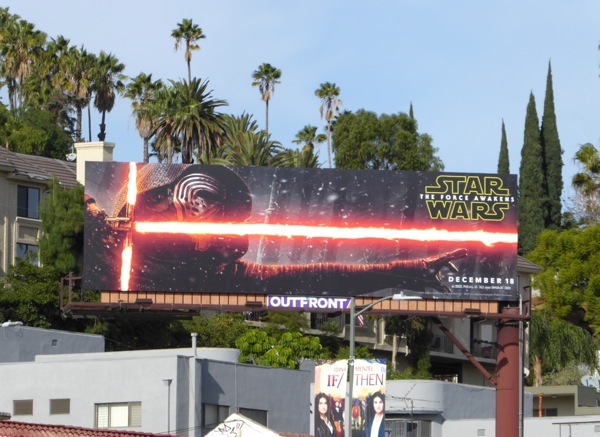 The real question is, is that Adam Driver beneath the mask, or someone else? 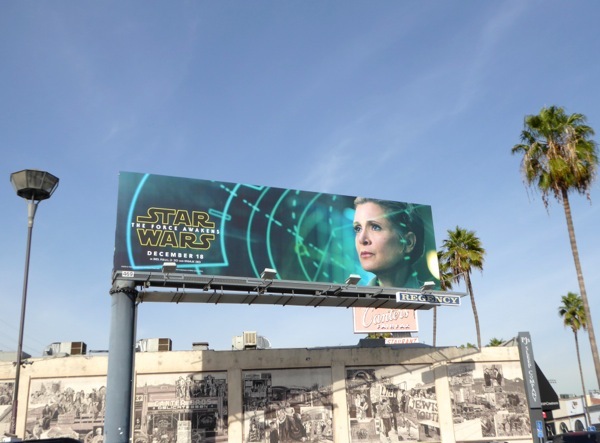 UPDATED: Daily Billboard was also hoping to spy a creative for the new movie featuring Carrie Fisher's 'Princess Leia', so we're thrilled to have found this billboard along Fairfax Avenue on December 8, 2015. 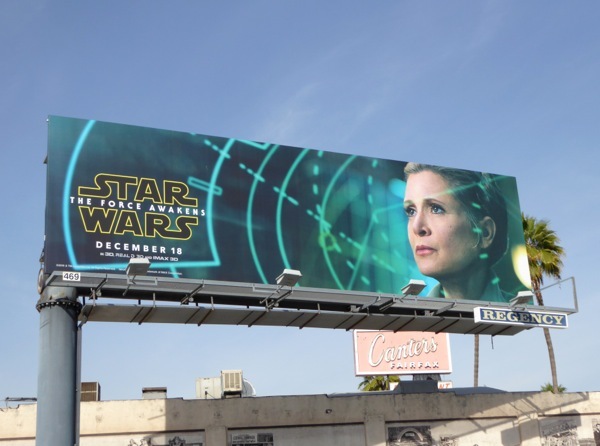 Now called 'General Leia', there's something about the command room design in the background that helps evoke the classic Star Wars look and feel. 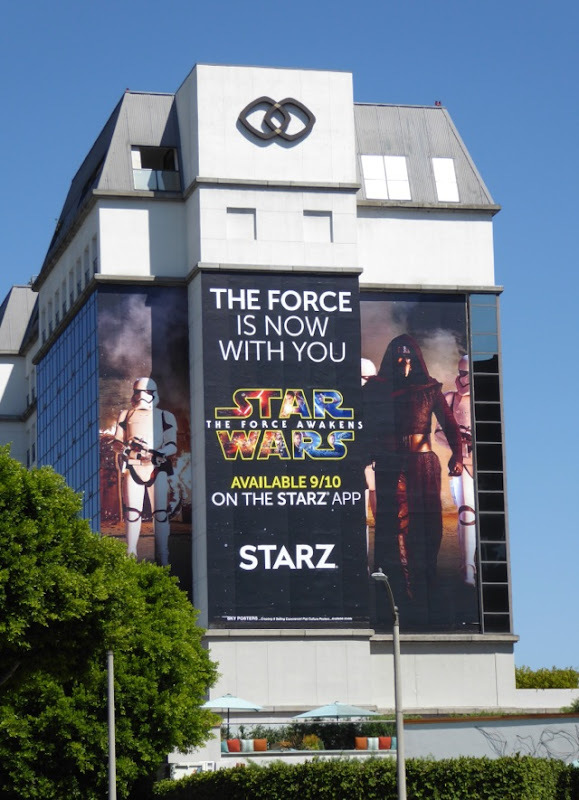 UPDATED: Star Wars: The Force Awakens is back in the L.A. skyline in a big way courtesy of Starz premium cable channel. 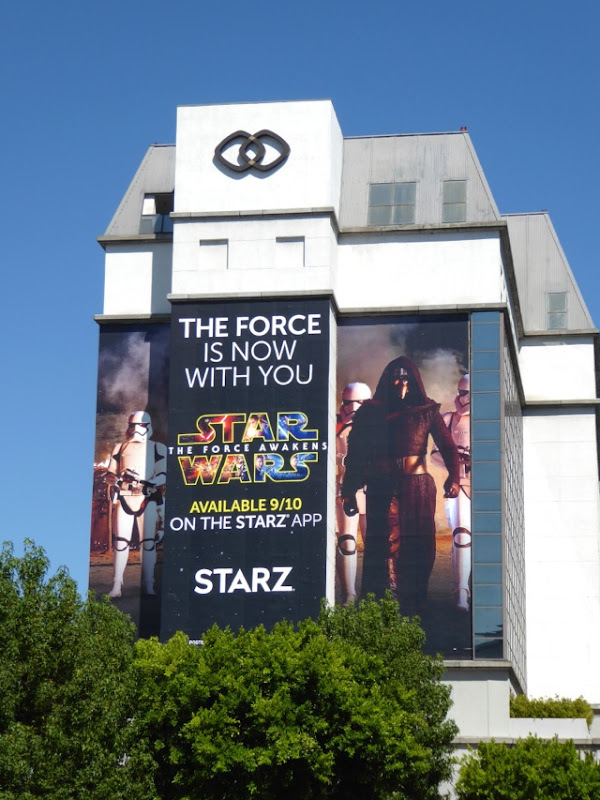 This impactful super-sized ad creative featuring Kylo Ren and his First Order Stormtroopers was snapped on the side of the Sofitel Hotel along Beverly Boulevard on August 19, 2016. Hey Jason, I was wondering if I could use one of your pictures for my school yearbook. . . Thanks! If just for your yearbook sure.